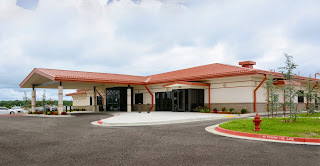 On Monday, June 1, the Cherokee Nation debuts its 30,000-square-foot annex, doubling the size of the Redbird Smith Health Center in Sallisaw. Above is the west entrance to the new expansion of the health center. The $10.7 million expansion adds radiology and lab, pediatrics, more outpatient space, optometry and pharmacy with a drive-thru. The addition also features a built-in community safe room. In 2014, the health center saw nearly 117,000 patient visits and is expected to serve up to 145,000 patient visits with the new services and facility expansion. The Redbird Smith Health Center annex is the second project completed under a $100 million health care capital improvement plan using casino profits. The Cherokee Nation recently opened a new health center in Ochelata. A brand-new health center in Jay and expansion in Stilwell both open next month. Tours of the new expansion will be open to the public following remarks from Principal Chief Bill John Baker and other tribal leaders. The Ozark Police Dept. has contacted the Sequoyah County Sheriff's Office for assistance in solving a crime that occurred somewhere in Sequoyah County on the night of Tuesday, May 26. Reports state that at approximately 8 p.m. an unidentified male individual was driving west on Interstate 40 somewhere between Muldrow and Sallisaw when he was abducted and his car was stolen. He was driving a 2006 Chrysler PT Cruiser with a business logo wrap on it (shown above). According to the victim, the check engine light of his vehicle came on and he pulled to the side of the interstate and raised the hood of the car. According to authorities a pickup containing two male individuals pulled in behind his car. One subject pulled a gun on the victim, took his keys and forced him into the pickup driven by the suspect. The victim stated that he was blindfolded and driven east on I-40 and eventually dumped out. 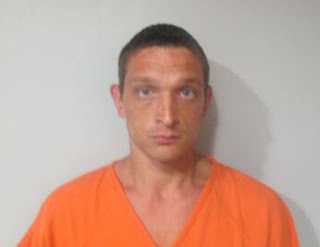 He stated that it was dark and storming at the time so he sought cover under a rock ledge until Wednesday morning at which time he walked through a wooded area and eventually reached the town of Ozark. The victim's car was found earlier today on a county road near Ozark, according to Sequoyah County Sheriff Ron Lockhart. Police are still searching for the two suspects. No description is available. The Sallisaw City Commission met in a special meeting last week to work on the city's budget for the 2015-16 year. City Manager Clayton E. Lucas II said the budget will be on the city commission meeting agenda on June 8. If approved, the final budget will be available for review on the city's web site and at Stanley Tubbs Memorial Library in Sallisaw. 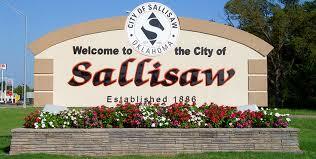 1) Sallisaw's budget for the 2015-16 fiscal year is $48,910,441. 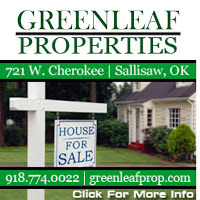 That includes $24,967,598 for the Sallisaw Municipal Authority which uses the money to pay the city's debts and other bills. Lucas said the budget includes about $41,000,000 for long-term debt service, most of which pays for the city's water treatment plant, Diamond Net Services and Sports Complex, which is required by the bond holders. He said about $7,000,000 is set aside for salaries and benefits for the city's 123 employees. "It sounds like a lot of money, but it really is not," Lucas said. 2) Lucas said residents will have one utility rate increase in the next year. He said the Grand River Dam Authority (GRDA), which provides electric power to the city, anticipates a 5 percent increase on Jan. 1, 2016. That increase must be passed on to the city's consumers. "We won't raise the rate any more than that (the GRDA rate increase)," Lucas said. 3) City commissioners are planning several improvements in the coming year. Water and sewer line upgrades may be expected; the street overlay program will continue; the new Sports Complex is expected to be done by late July and early August, and has been hampered by the continuing rain; engineering must be done on moving the power poles and lines for the ODOT expansion of U.S. Highway 59 on the city's north side; and $56,000 has been set aside for improvements at the city's Brushy Lake Park. Lucas said the city, just this week, received a $105,000 grant for improvements to J.T. Stites Street, which has suffered some damage due to heavy traffic for the building of the new middle school and now a new building at People Inc. Lucas said the street will not be repaved until the People Inc. building is done. Also, more income than expected is coming in for the Sports Complex, which could then be paid off early, saving the city some interest debt. 4) The city commissioners are discussing how the city is to handle stray animals. The old animal shelter has been designated as not safe enough to use, and the property is in the flood plain. A new shelter on Eppler Drive was proposed, and property purchased. But city commissioners are discussing renovating the old shelter, if possible, at a cost of between $20,000 and $30,000. In the past year, $150,000 was set aside to build a new shelter on Eppler Drive, but construction bids have been higher than the money set aside for the project. 5) Merit raises for the city employees remain in the budget, Lucas said, but have been postponed and may be cancelled. The merit raises are usually about 4 percent for those who have been employed by the city for a limited time. The city commissioners have also talked about a hiring freeze, but both subjects are still under discussion, Lucas said. Lucas said the city is like many of its residents, and having to tighten its belt, conserve and budget wisely. "We have tried to cut out as much as possible," Lucas said. "We must have a do more with less attitude." 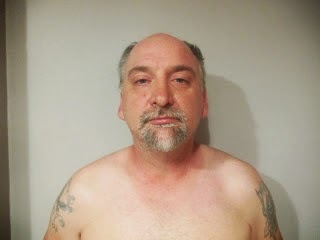 A Van Buren man was arrested Wednesday for allegedly stealing a tractor and high water and road closed signs. Tommy Reyes, 24, is the suspect in the case. Sequoyah County Sheriff Ron Lockhart said the sheriff's department was called to a farm south of Muldrow on Wednesday about a John Deere tractor and seeder being stolen and damaged on the night of May 25. Lockhart said that, after talking with witnesses, it was determined that a vehicle had stalled east of the location where the tractor was stolen and a farmer gave the subject a ride to Fort Smith. On Wednesday the flooded car was found less than a mile from where the tractor had been stolen. Inside the car were several high water and road closed signs which had been stolen from County Commission District 1 in the east end of the county. The vehicle was impounded and the owner contacted. Reyes was identified as the driver of the car, and he was then interviewed by investigators. After the interview, Reyes was arrested for stealing the signs and the tractor and doing damage. Lockhart said, "We have had problems with people stealing high water and road closed signs from the county. These signs were placed on the roadway to stop cars from entering flooded roads. This is a life or death situation and anyone stealing signs that protect the citizens will be prosecuted to the fullest. It's a shame we have people who will steal hard-working farmers' equipment and do damage. We will not tolerate this type of activity and will do everything possible to bring these subjects to justice." Winners in the 13th annual Cherokee Casino/Carl Albert State College Scholarship Golf Scramble, held May 16 at the Shadow Creek Country Club in Sallisaw, were announced this week. Paul Marshall, event organizer for Carl Albert, said, "We would like to thank all of the sponsors, food sponsors, and players. 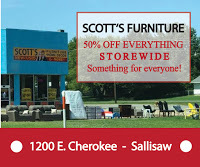 Your support helps us raise funds to provide scholarships for students to attend CASC-Sallisaw." Taking first place was the team sponsored by Peter's Agency Home Health. Joshua Hawkins is pictured representing this team and being congratulated by Marshall. Second place went to Aaron Padgett, Trey Rogers, Lloyd Kingfisher, and Jim Rogers. They are pictured with Terri Cox of Carl Albert State College. 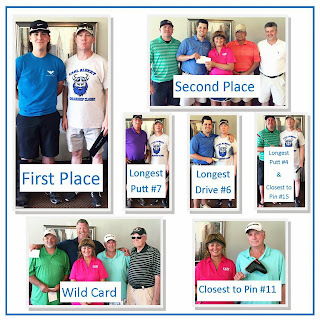 The wildcard drawing for third place went to the team of Paul Cashman, Bill Wilson Jr., Owen Davis and Dale Brown. Cox is pictured with this team as well. Owen Davis was closest to the pin on hole 11 and won a Nike putter donated by Tom Stites. Davis is pictured with Cox. Ray Luman had the longest putt on hole 7 and is pictured with Marshall. Trey Rogers had the longest drive on hole 6 and is also pictured with Marshall. Aaron Padgett had the longest putt on hole 4 and is in the photo with Marshall. Marshall was closest to the pin on hole 15 and won a Nike putter donated by Tom Stites. 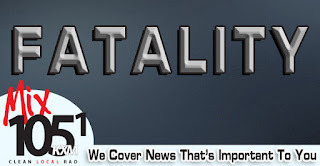 According to the South Dakota Highway Patrol, Richard Vasquez, 51, of Sallisaw was killed in a one-vehicle crash on Saturday afternoon. The accident occurred in The Badlands National Park in South Dakota. According to authorities the pickup Vasquez was driving went off the shoulder of State Highway 240 at a high rate of speed, travelled down a steep embankment and came to rest after rolling over twice. The South Dakota Highway Patrol stated that Vasquez was thrown almost 30 feet from the pickup and was pronounced dead on the scene. An investigation into this accident is ongoing. Moffett Mayor Kathy Luper, a lifelong Moffett resident and Moffett mayor since 2007, said she's hoping and keeping her fingers crossed that the Arkansas River has crested, at 33.40 feet as of Tuesday, and will retreat into its banks without flooding the tiny town completely. Luper said Wednesday, "It's good today. The river has stopped rising and has gone down slightly. It has been an extremely dangerous situation." Luper said no homes have been flooded, but the river, as of Tuesday, had nearly surrounded the town. That resulted in residents filling sandbags to barricade their homes. Luper said the city had turned off natural gas as a precaution, but electric and phone lines had remained on. 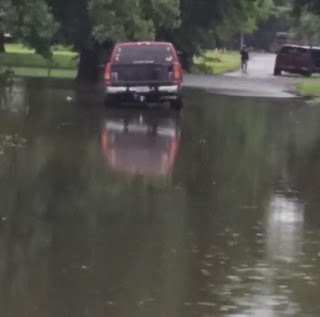 Moffett police and fire department, the Oklahoma Highway Patrol and the Red Cross have been on standby as the river rose and threatened the town, and residents were asked earlier to voluntarily evacuate. Still, many remained. Luper is hopeful a full evacuation won't be needed. "Rain is a good thing," she said, "but we've had plenty." 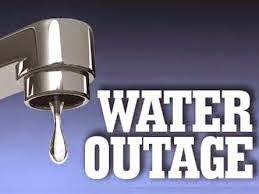 Maintenance men for Rural Water District #3 are working daylight to dark to repair a broken water line at the district's water tank in the Hanson area, but in the meantime, many Gans residents have no water. A spokesman for the water district said it is not known when the water line will be repaired. Recent heavy rains caused the break and the saturated ground continues to hamper the repair. The area has received over 22 inches of rain since May 8, which has caused a mudslide situation and the ground is not stable enough to use heavy equipment. All the repair work is being done by hand, the spokesman said. The Cherokee Nation is assisting with the work. Not all Gans water users are out of water. The Gans store still has water, the spokesman said. District officials are receiving calls daily and are telling customers that work on the break is going as fast as possible. Hopefully the repairs will be made soon and water service returned. 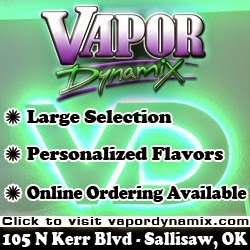 The district has over 440 customers and buys water from Sallisaw. Until service resumes, customers who have water are asked, as a precaution, to boil water at a full rolling boil for at least one minute before use. Officials with Rural Water District #3 are asking customers to continue to bring their water to a full rolling boil for at least one minute, after supply lines to the water tanks broke. Michael Shupert, the water district's accountant, said the water district has about 440 customers in Gans, Central and the Hanson area. Shupert said the break in the supply lines was caused by the recent heavy rains. Boiling the water is voluntary and just a precaution, he said. Customers are also asked to conserve water if possible. Shupert said the break was below the water tanks in the Hanson area, and was caused by over-saturation of the hill on which the tanks sit. The water district buys its water from Sallisaw. "We are working on getting a fix in place," Shupert said, "but we will have to wait until it dries out. Our maintenance people are working on it." Shupert said he did not know how long it may take to repair the lines. The advisory will remain in effect until further notice. Questions should be addressed to Shupert at (918)775-1903. At 10:35 a.m. Tuesday morning the Sequoyah County Sheriff's Department received a report that a male subject had kicked open the door to a residence south of Muldrow. The owner of the property was home at the time and chased the subject through the house. The subject exited the home and fled on foot into a wooded area south of the residence. After the subject had left the scene, the property owner realized that his vehicle had also been broken into. According to Sequoyah County Sheriff Ron Lockhart, another call was received approximately three hours later from a residence less than a quarter of a mile from the first incident. The caller stated that a male subject was inside her vehicle attempting to steal it. When the suspect was confronted he produced a shotgun and fled into a wooded area. Sequoyah County deputies along with Muldrow Police officers set up a perimeter and located the suspect carrying a shotgun and running in a pasture. During the foot pursuit the suspect jumped into a large pond and refused to come out. Deputies entered the pond and placed the suspect under arrest. The suspect has been identified as Colton Williams, 24, from the Keota, Oklahoma area. "After he was arrested we found items in his possession that lead us to a third burglary which was the location where the firearms were stolen from," stated Sheriff Lockhart. Williams will face several burglary charges and is currently being held in the Sequoyah County jail. Moffett officials are preparing for the worst--a flooded Arkansas River--and are getting ready to fill some sandbags to protect homes. Moffett Police Chief Riley Brooks said Tuesday afternoon that District 1 County Commissioner Ray Watts was sending sand to the residents to fill sandbags to protect their homes. Brooks said not all Moffett residents agreed to a voluntary evacuation on Sunday, and many remain. So they are preparing. "We have the fire department on standby," Brooks said from the Moffett Police Station. "They are here right not." Brooks said the Oklahoma Highway Patrol was also standing by. He said the town has built up an evacuation route, which is near the viaduct. As of about 3 p.m. Tuesday, the town was surrounded by flood water, but flood waters had not entered homes yet. "We are keeping an eye on the river. It's all around from the east to the west. Roberts Pull Apart (auto salvage) is gone. It is under water. We are so flooded the river is up to the on ramp. The road is completely impassable. The old highway is under water. We are keeping in touch with the U.S. Army Corps of Engineers," Brooks reported. He added that the flood waters have not yet entered Moffett streets, any homes, or the school. Flood waters are surrounding the school's football field and have begun to enter the football field parking lot, he said. 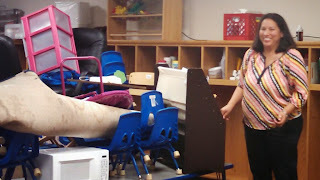 Several teachers and school personnel have worked to raise items as high as possible in the school building in case of flood including Moffett teacher, Paula Teehee (seen above). The U.S. Army Corps of Engineers reports the Arkansas River at Van Buren is at 33 feet, which is above flood stage of 22 feet, and rising. Brooks said that at water level 36 feet, the flood will begin to enter peoples' homes. A declaration to force evacuation must be issued by Moffett Mayor Kathy Looper, Brooks explained. She had not done that yet. Moffett also suffered from severe flooding in 1943, 1957, 1986, and 1990. 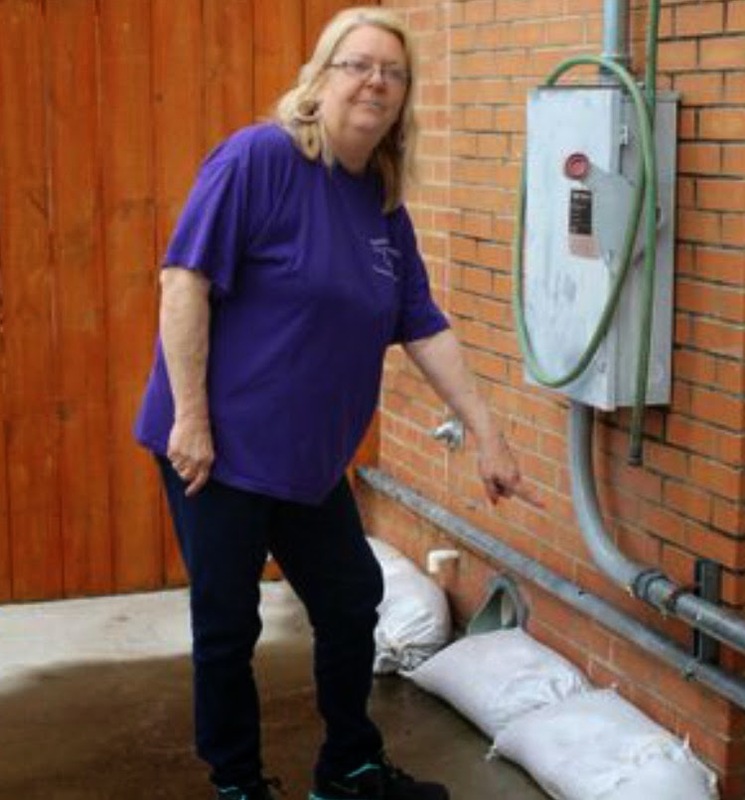 Sequoyah County Assessor Donna Graham had to close her office indefinitely Tuesday, due to flooding which even sandbags (above) could not hold back, and county commissioners were busy repairing washed-out roads again after another downpour drenched the county Monday evening. The county commissioners reported roads that could be repaired were being worked on Tuesday, while several other county roads remain closed. District 1 Commissioner Ray Watts said he closed the old highway into Moffett, which was voluntarily evacuated over the weekend, due to the rising level of the Arkansas River. Also closed are Wilson Rock Road and the road to Mayo Lock and Dam 13, both south of Muldrow and also due to the Arkansas River flooding. The river was expected to crest at just over 33 feet on Tuesday at Van Buren. County Road E 1100 is still shut down after it washed out earlier this month. District 2 Commissioner Steve Carter said he has one major road closed, Indian Road between Gum Springs and Tahlequah. That road also washed out earlier this month. Carter said a portion of the road about 50 feet wide and 110 feet long is gone. "It goes straight down," Carter said, adding, "and I don't know where we are going to get the money to fix it." District 3 Commissioner Jim Rogers said several of his county roads washed out again Monday evening, but were being repaired on Tuesday. He said Keck Ford Road, also known as the Old Radio Station Road, remains closed after washing out earlier this month. "This is the third time S 4660 Road (off State Highway 141) has washed out," Rogers said. Graham said her office has flooded four times in the past week, and it is believed the flooding may be caused by not only the heavy rain but also the recently paved parking lot at the county courthouse. Graham said those working to repair the problem have said a French drain may have to be added to the parking lot to direct runoff waters away from her office. Graham said no records have been damaged, to her knowledge, and all records have digital backup. But Graham said she fears letting her employees work in the office under the conditions. She fears mold and other aspects of the flood could have an unhealthy effect. Workers were removing the drenched carpet and soaked walls on Tuesday, and water was still standing on the bare floors. Graham said she hopes to be closed only a couple of days, but isn't sure when the office can reopen. More rain is predicted during the coming week, and she fears more flooding. Additional concrete may be laid at the back of her office where the flood water enters, but concrete can't be laid in the rain, she noted. Graham added that people are being nice about her having to close the office. She stated that this is the quiet time of the work year for the assessor. She explained that the courthouse is under the jurisdiction of the county commissioners, and the county will have to pay for repairs. The county will also have to look at repairing leaks at the county jail, Rogers added. Steve Rutherford, Sequoyah County Emergency Management director, was out with state officials Tuesday reviewing the damage to county roads and structures so the county may apply for state and possibly federal aid. An early estimate suggested damages to county properties only were well over $350,000. The Oklahoma Department of Transportation (ODOT) reports the following area road closures due to heavy and on-going rain storms. ODOT advises do not drive into high water, turn around if possible. Drivers are cautioned to heed warning signs and to not drive around barricades. US-270 is closed between Wister and Heavener and US-271 at Wister. Signs are in place and traffic will be detoured to Poteau and Heavener. John Neuman, 53, of Gore was formally charged Thursday in Sequoyah County District Court, Sallisaw, with second-degree murder for the death of his 50-year-old wife, Tonya Neuman. As of Friday, Neuman had not entered a plea to the charge. At about midnight May 9, Sequoyah County deputies were called to a residence north of Gore for an unresponsive female. 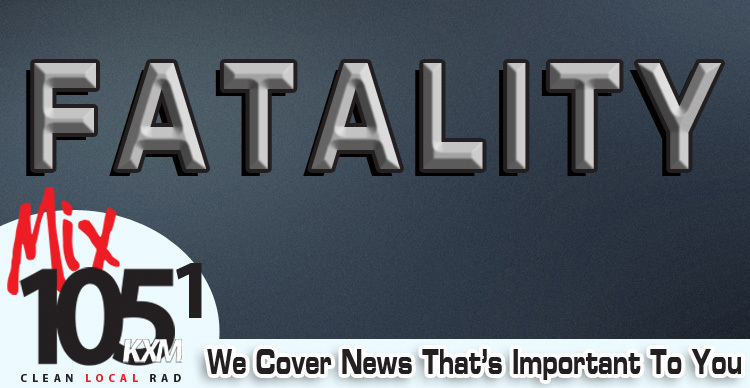 Initial reports indicated the victim died of blunt force trauma. The medical examiner’s office and the Oklahoma State Bureau of Investigation were called in to assist the Sequoyah County Sheriff’s Department and Gore Police Department. 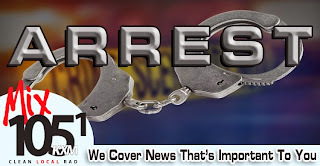 On May 10 a search warrant was served at the residence, in order to collect additional evidence, Sheriff Ron Lockhart said, and John Neuman was arrested in connection with his wife’s death. The U.S. Attorney's Office in Muskogee announced Thursday that Terry Wayne Hyatt, 34, of Muldrow was sentenced to 180 months imprisonment, followed by three years of supervised release for being a felon in possession of a firearm. 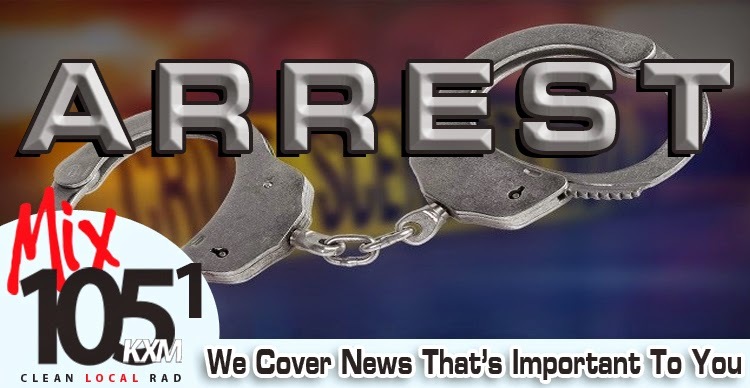 The charge resulted from an investigation by the Muldrow Police Department. 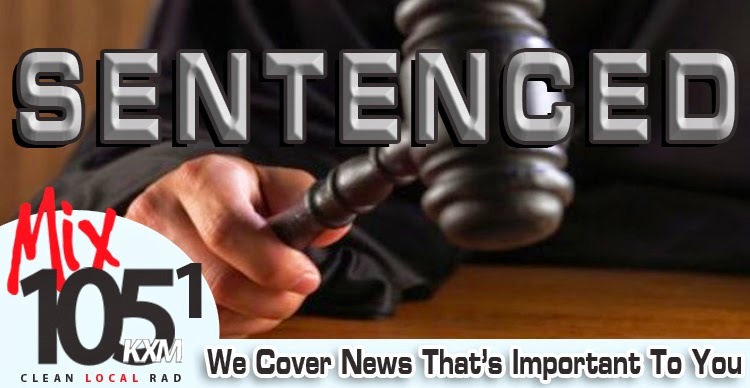 The defendant was indicted in November and pled guilty in December. The Indictment alleged that on or about February 13, 2014, within the Eastern District of Oklahoma, the defendant, having been convicted of a crime punishable by imprisonment for a term exceeding one year, did knowingly possess a firearm. which had been shipped and transported in interstate commerce. U.S. District Judge Ronald A. White presided over the hearing. The defendant will remain in the custody of the U.S. Marshal Service pending transportation to the designated federal prison at which he will serve his nonparolable sentence. Due to recent storm damage to their water system and the potential for contamination as a result of this situation, the drinking water supplied by Sequoyah County Rural Water District #3 may be unsafe for human consumption. 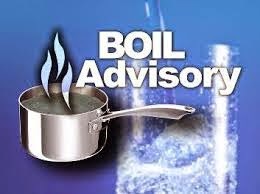 As a precaution, it is advised that the consumers of Sequoyah County Rural Water District #3 water system bring their water to a full rolling boil for one minute before consumption or use for food preparation. In addition to this notice, they are asking that consumers voluntarily conserve water. Affected customers reside in the Central, Hanson and Gans communities within Sequoyah County. This advisory will remain in effect until further notice. Questions concerning this situation should be addressed to Michael Shupert at (918) 775-1903. On Friday, Sallisaw students spent their last day in class before the summer break. One teacher will have only one more day at school, after 41 years of teaching kindergarten at Liberty Elementary School. Perrie Beth Weedon, Sallisaw kindergarten teacher since 1974, is retiring. Her very last day will be Tuesday when she must clear out her classroom. She was honored by her peers at a retirement reception May 4. Knowing Weedon’s preference for Oklahoma State University (OSU), the OSU mascot Pistol Pete was invited, and attended (above), the party. “It was GREAT fun,” Weedon exclaimed. 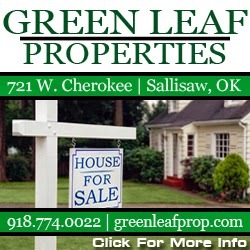 Weedon, the daughter of Roberta Farmer and the late James “Cherry” Farmer, graduated from Sallisaw High School in 1970. She went on to OSU then transferred to Northeastern State University in Tahlequah when she got her bachelor’s degree in elementary education. Later she obtained her master’s degree in early childhood education and was in the first master’s class to obtain that degree. In 1974 she began with Sallisaw Schools as a kindergarten teacher, and has stayed that course for 41 years. “Education was important to all my family,” Weedon said. Her mother, Roberta, is the retired media specialist for Eastside School. Both Weedon’s sisters obtained teaching degrees; one taught music and the other used her degree working for the Department of Human Services. Now days, the kindergarten students attend school for a whole day, and, ironically, this year Weedon’s class has only 19 students. “This is the first time in years that I’ve had less than 20 students,” Weedon said. Teaching methods and student preparation have changed over the years, Weedon said. She has noticed that the most. “What the students are exposed to now is different,” she said “The children have to know more now. But not all children come to school prepared. More is expected of them now. Every child is different in their way of learning. And teaching methods swing back and forth.” But teaching methods pretty much remain the same. And successful teaching leads to awards. Weedon was named Sallisaw Schools Teacher of the Year in 2005. “That was neat,” Weedon recalled. No particular students stand out in memory, Weedon said. They all do. It is estimated that Weedon’s total number of kindergarten students may be over 1,000, but no one’s kept count. You don’t stop caring about them after they have moved on, Weedon said. Weedon reminisced, “The first all-day students I taught will graduate in 2016.” Weedon will probably attend their graduation. She will be busy in the meantime. Weedon said she is excited about her retirement. “I am excited, but I’m not real sad yet,” she said. More than likely, about 1,000 former Sallisaw kindergarten students believe Weedon is an important part of their education family.